Beach Missions aim to share the good news of Jesus with holiday-makers around Australia. 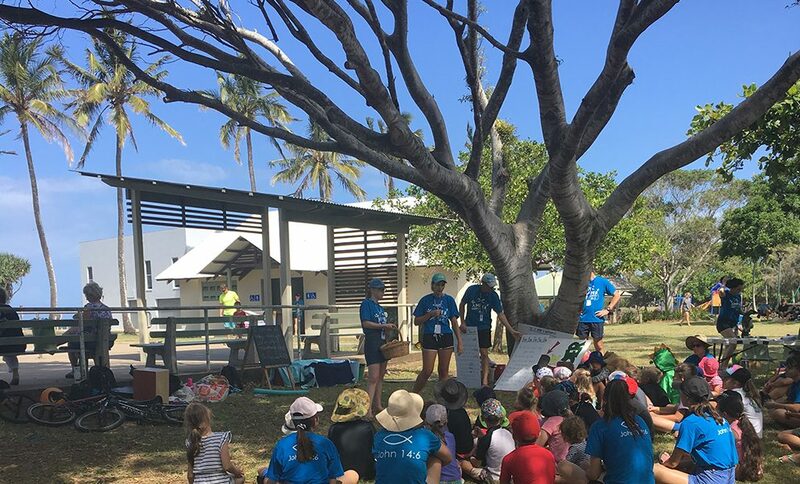 Since 2005, Bargara has hosted a mission team of SU QLD volunteers each year, who come to connect with and serve the local community, sharing the transforming love of Jesus. Bargara Beach Mission director, James Dwyer, has experienced countless examples of God’s favour, which has kept the mission going for so long. 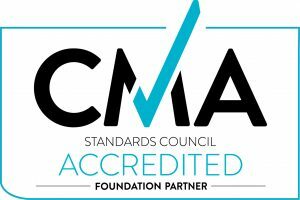 “It’s very community-focussed. We run lots of fun events and programs for the local kids and their families. It’s also an opportunity to show them the love of Jesus,” James says. From daily programs and a family fun day to movie nights and a New Year’s Eve party, thousands of local children, young people and their families take part in this annual community event. For James, Beach Mission’s practical support is secondary to the eternal purpose of the event. “I come because I love seeing how God uses us to make a difference,” James says. As the events and programs at Bargara Beach Mission continue to grow, SU QLD is looking for more leaders in 2019. “I’d say beach mission is for those who have a faith in Jesus and want an opportunity to see God work powerfully in their life,” James says. 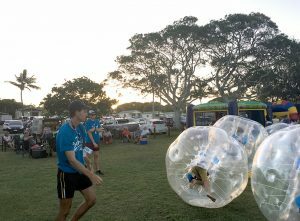 SU QLD runs beach missions across the state, providing fun activities for children, teens and their families. These community outreaches are also a great way for local churches to engage with their local communities and share the love of Jesus. If you’d like to support events like beach missions through SU QLD, you can donate at: www.suqld.org.au/donate. SU QLD would like to acknowledge that many people have contributed to making Bargara Beach Mission such a success over the past 15 years. In particular, we want to honour past directors Brian Hayhurst, Gary & Fiona Payne, Tanya Mckee and Jane Moe. You are amazing!